The DoSeum offers 39,000 sq. 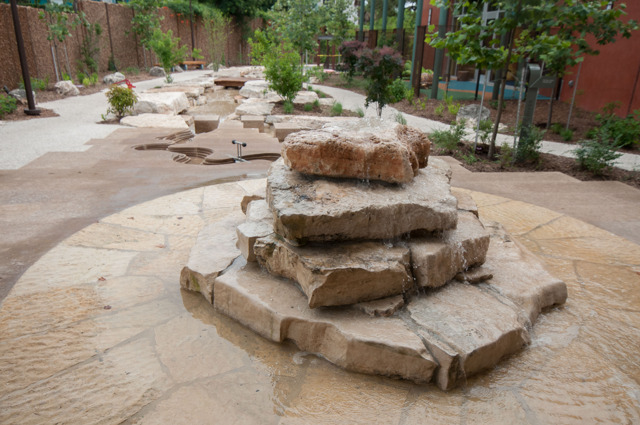 feet of beautiful outdoor exhibit space that integrates interactive, dynamic exhibit pieces with LEED-certified building features and southwest-inspired landscaping that creates the feeling of a museum within a park. The Big Outdoors is divided into two yards: The West Yard and The East Yard. 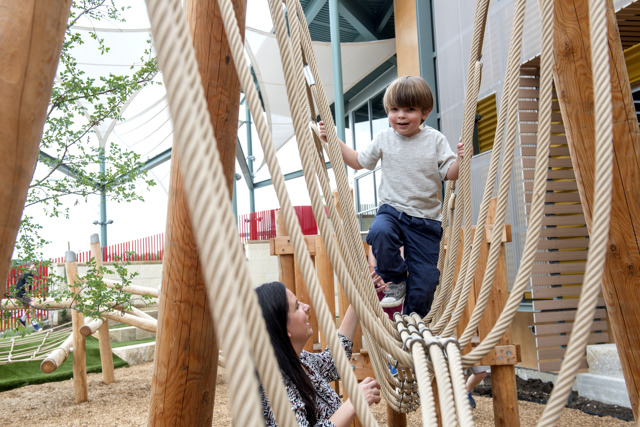 West Yard: Located along the west side of our building facing Broadway, the West Yard is our active outdoor zone, with large scale exhibit features where kids can get active while learning. 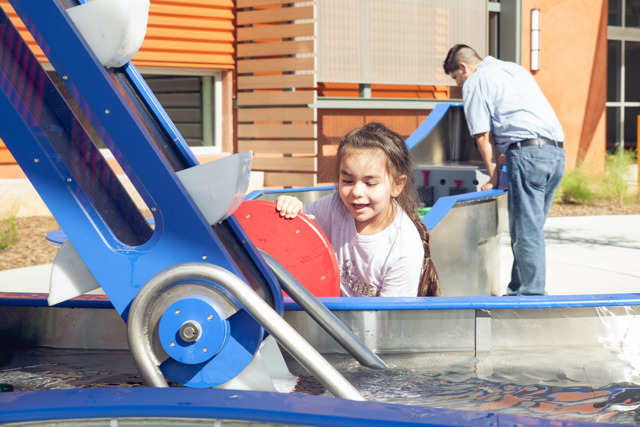 Learn about the forces of physics at Waterworks, test your logic with our giant checkers board, or see who can get to the bottom of our giant slide the fastest! 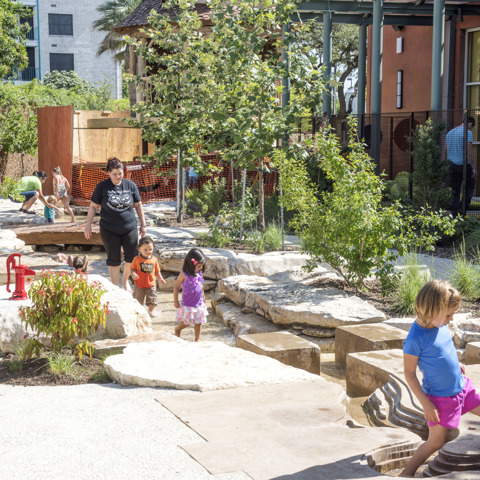 Newborn to 4 years-old: Monarch Butterfly Garden-- Travel past the Art Yard and the Bubble Station to visit our Monarch Butterfly Garden. 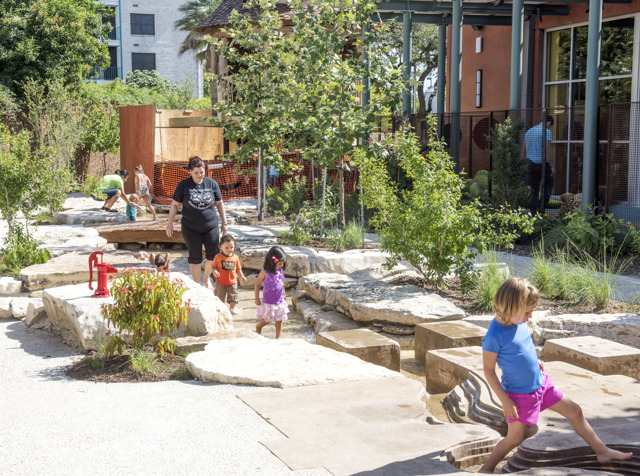 The DoSeum is a certified official Monarch Migration Station, and experts use the garden to study the patterns of monarchs as they pass through San Antonio. 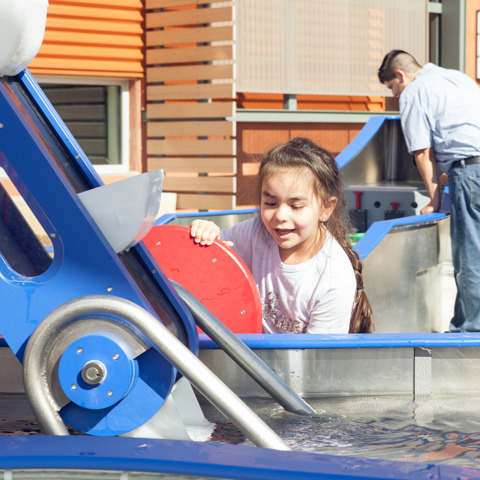 5 to 8 years-old: WaterWorks-- Our reimagined water pavilion demonstrates the power of water and gives children the opportunity to test physical forces and their outcomes when put into action. 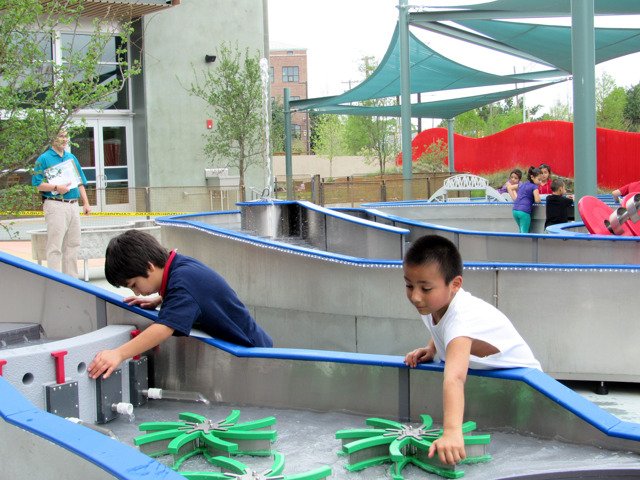 Through hands on play, children see physics in action, while also getting a refreshing break from the hot summer heat! 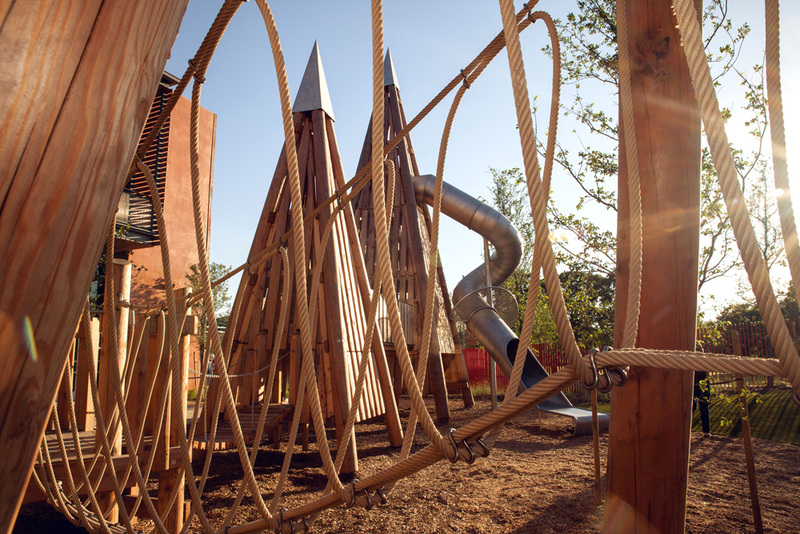 9 to 11 years-old: The Big Climb: This 30-feet tall German-built climbing structure encourages children to develop their motor skills while engaging in imaginative play. 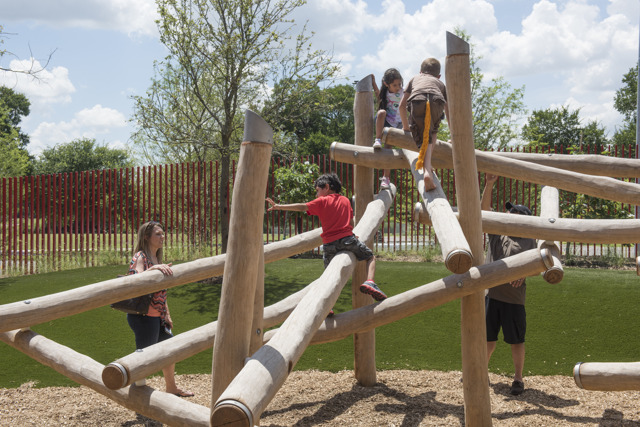 Natural materials and a variety of structures create a natural environment where children are free to explore and create a world of their own. East Yard: On the east side of our building, enter a quiet zone that draws focus to stories and quiet exploration of the environment. Float a handmade boat down Will’s Stream, peer out from the top of treehouse, or play hide and seek in our bamboo forest. 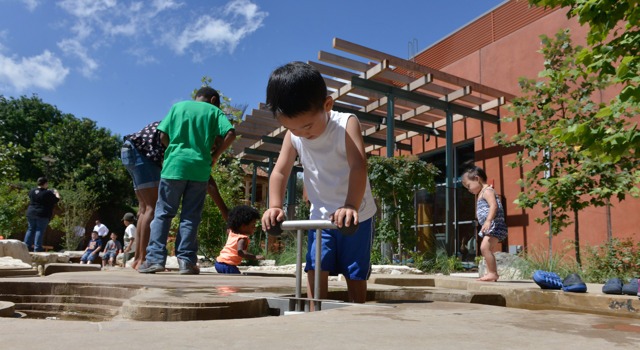 Newborn to 4 years-old: The Sandscape— Dig, build, and create in the Sandscape! 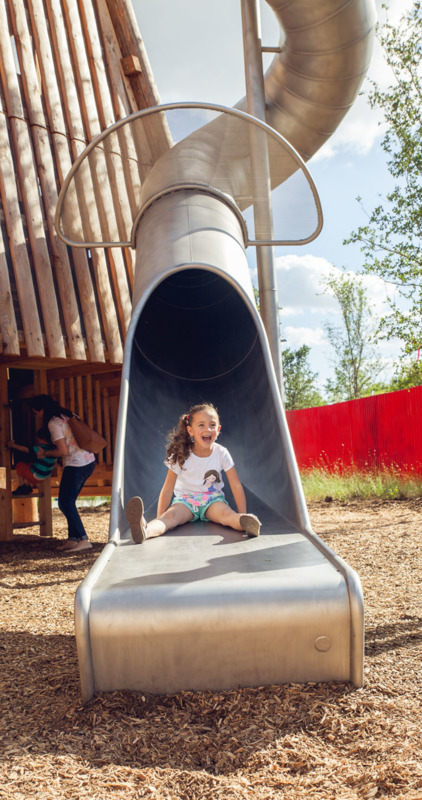 This special area is filled with sand, art pieces, and toys for children to enjoy for hours! The sand allows them to begin working with their hands to stimulate the foundations of fine motor building. 5 to 8 years-old: Will’s Stream—Life is only fun when you get your feet a bit wet! 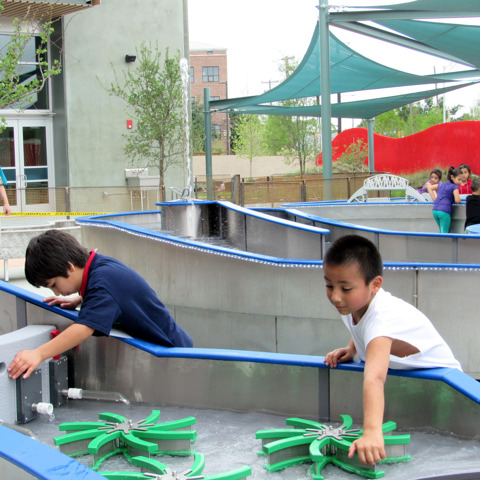 Children can splash and laugh in our river designed for safety and fun! During the long Texas summers, they can bring their swim suits and enjoy the cool, refreshing water of Will’s Stream. 9 to 11 years-old: Eco Pond— What more do we need to say than” turtles”? The Eco Pond is a fully self-sustaining eco-system that provides a home to a diverse array of colorful animals and plants. 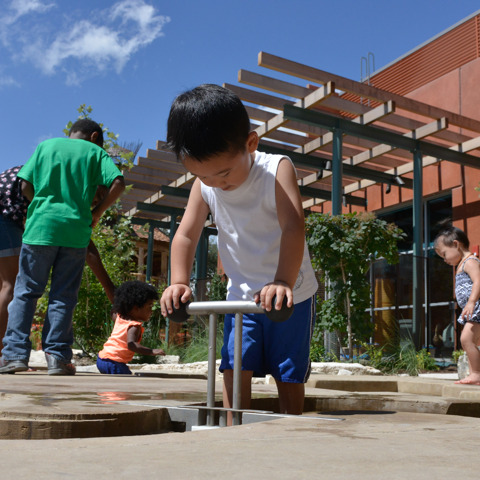 Children can come learn about how all living things interact with each other to maintain the environment. Visit The Art Yard! 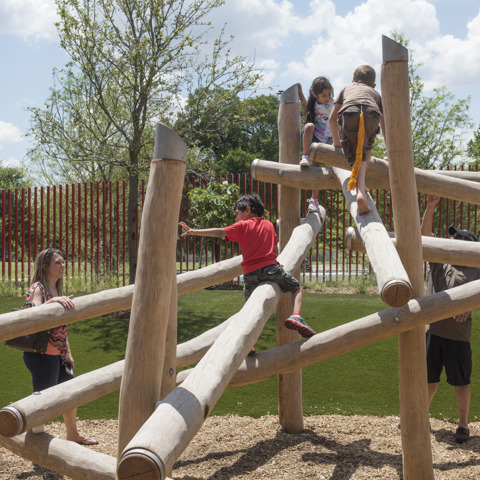 Located adjacent to WaterWorks, facilitated outdoor art projects are offered during special times. Past projects have included paint water balloon drops, yarn-bombing statues, and large scale multimedia art pieces. Take a moment to read a book with our Little Free Library, located in the East Yard by the Storytelling Tree. 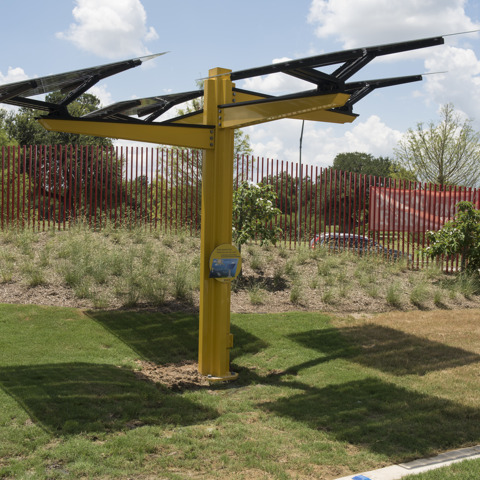 Gaze at our Solar Tree! 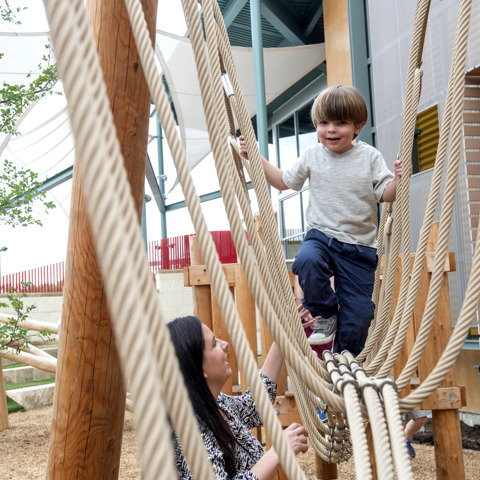 About 25% of The DoSeum’s energy is provided by the 616 panels on the roof of our building. 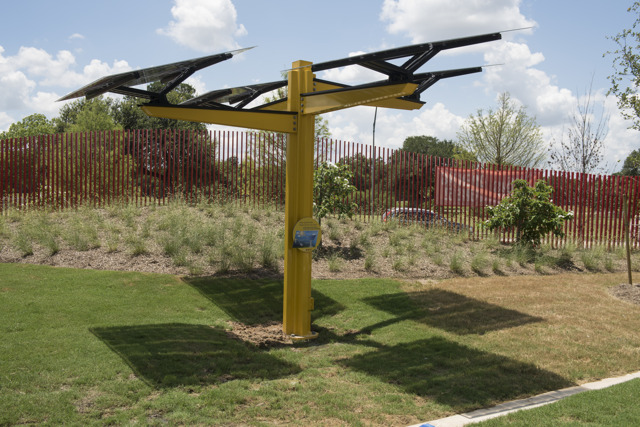 Our solar tree demonstrates how solar panels convert solar energy into power. During days with inclement weather, the outdoor areas may close for the safety of guests and staff. 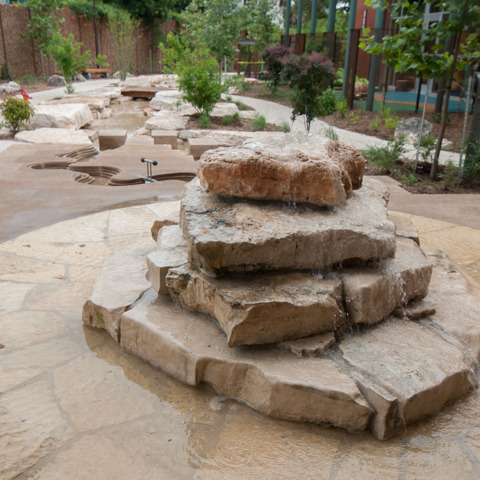 Wet weather creates slippery surfaces in The DoSeum’s outdoor areas. 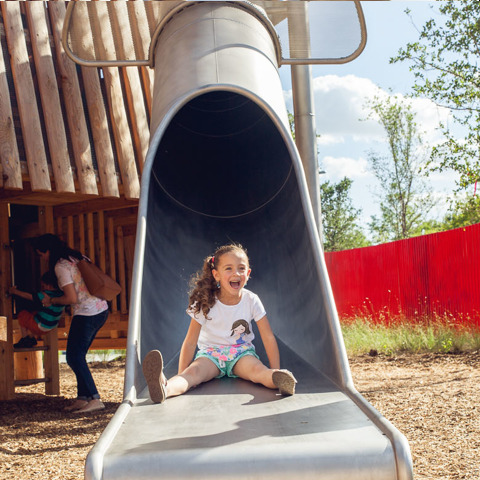 For the safety of our young Guests, we may close the outdoor areas in heavy rain or when there is lightning in the area.